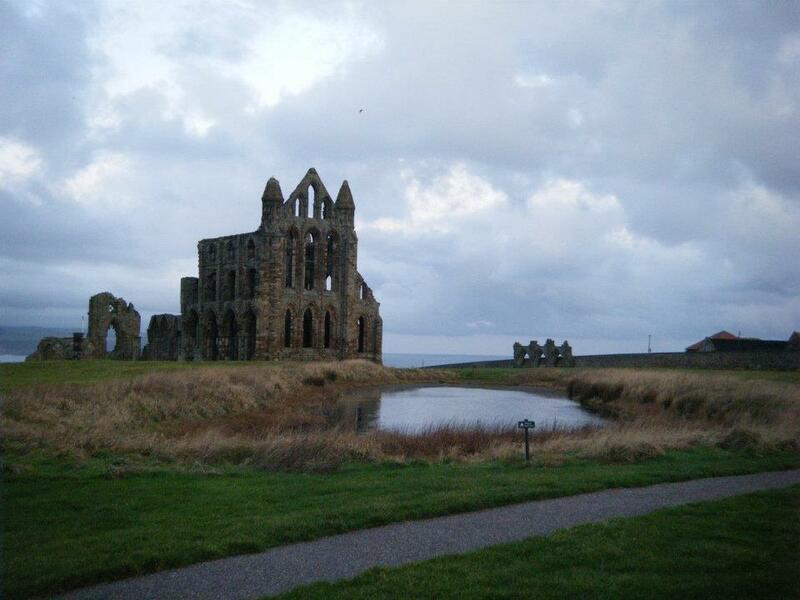 This is my recourse of my Hardmoors 110 race this year. 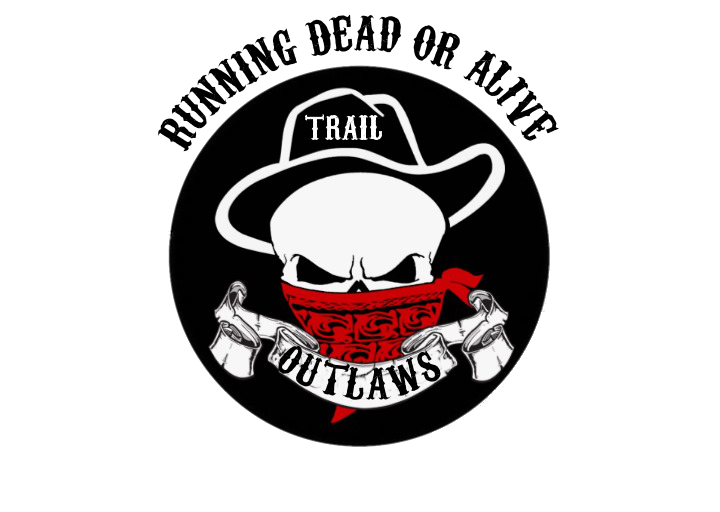 I started Ultra running last year and as part of my journey of learning to be a runner of trails, I had heard some people say that you are not really an Ultra runner until you have run a 100 mile race. So I decided to pick the Hardmoors 110 as my first 100, as it seemed like a real challenge. I was not sure how many 100s I would ever run. My attempt at running a 100 is as a one off, a challenge and achievement, so I thought I would pick a 100 that was challenging and rewarding. I do not find this complement easy to pass on as a Lancastrian, but the North Yorkshire Moors and coast are very beautiful part of Britain and decided that in for a penny in for a pound and I might as well go for the fully monty of 100 milers, the Hardmoors 110 which follows the Cleveland Way in North Yorkshire and actually weighs in at 113 miles with 19,685 feet feet of ascent. 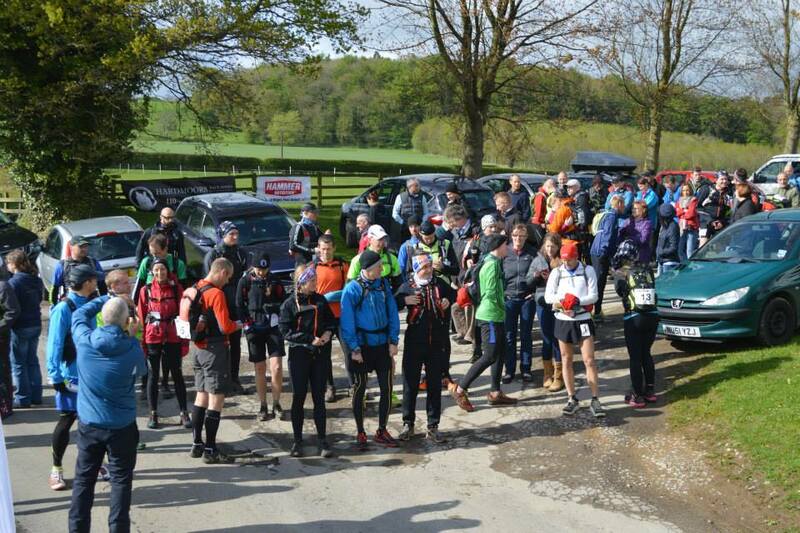 I ran the HM55 and HM60 races to get a feel for the route, and that was also a big plus for the Hardmoors series. 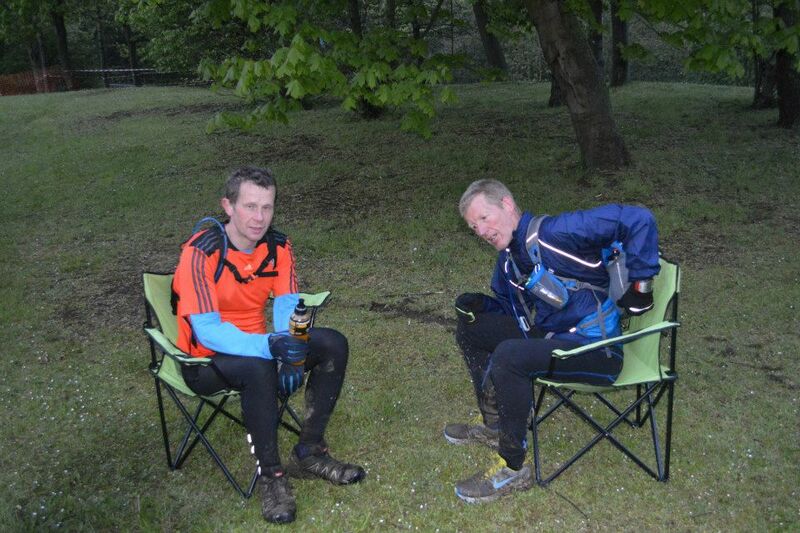 Running the route as part of other races, is an ideal way to recce the full HM110 course. My combined times for HM55 and HM60 are just under 22 hours and after doing some number crunching for the past two years for people that had run the HM55 and HM60, who then subsequently ran the HM110, I deducted that if you had added 3 to 4 hours onto the combined times of the HM55 and the HM60 results you would get an approximate finish time for the HM110. BUT, I decided that my HM60 result was slow as I set off too fast and had to slow down. So I decided that I would aim for around 24 hours and if things went really well then I might even make sub 24 hours. I knew that this was a long shot though, as it was my first 100. The more realistic goals for me were to complete the race in under 30 hours, to get a top 10 finish and lastly if all else failed was to make sure I finished! 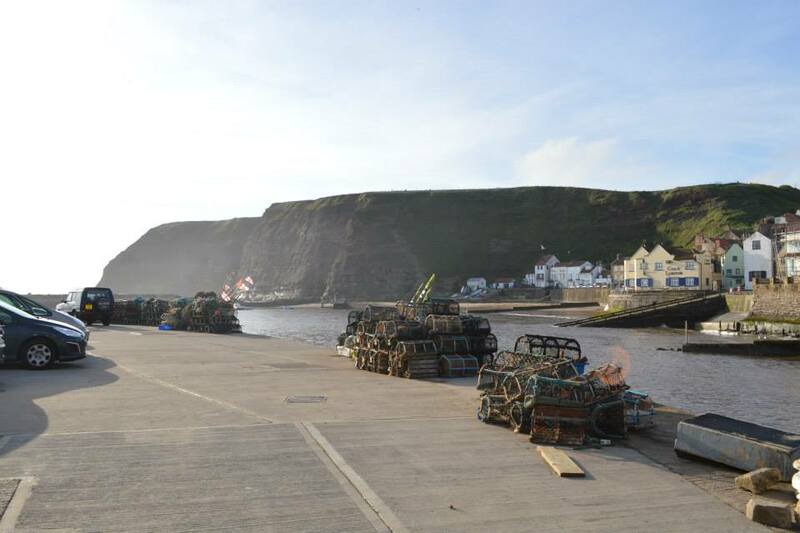 So after leaving work on Friday the 24th of May, Phill and I headed down to Filey to pick up Alistair. I should perhaps explain that Phill Turton and Alistair Stewart were to be my race crew. Unless you have run a qualifying race, then all competitors must have a support crew. I initially thought this was a little unnecessary, but having Phill and Archi there to help me made a big difference to me. I seriously doubt I would have finished at all without their tireless help and energy over the course of the weekend. So let me pass a BIG thank you to you both. After picking up Alistair at Filey we headed for Helmsley and the start of the race. 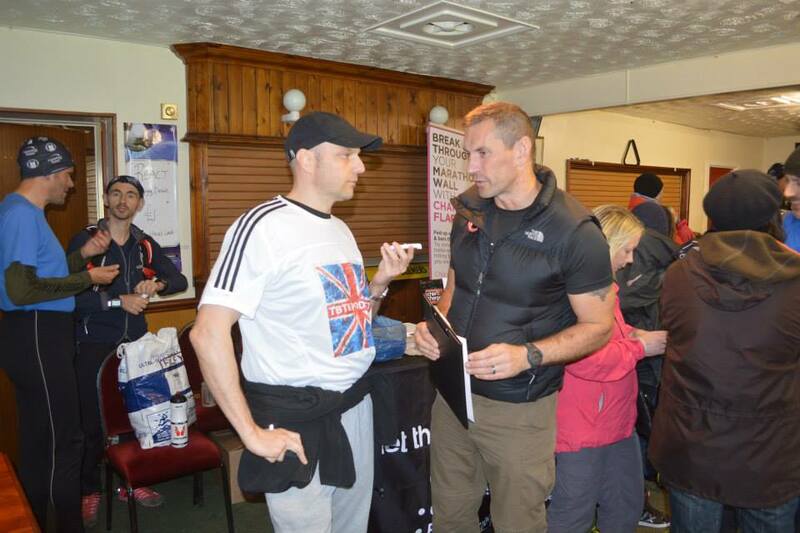 Once at Filey, Phill and Alistair got to work as fellow podcasters and started interviewing people involved in organising the race and the those running the race. 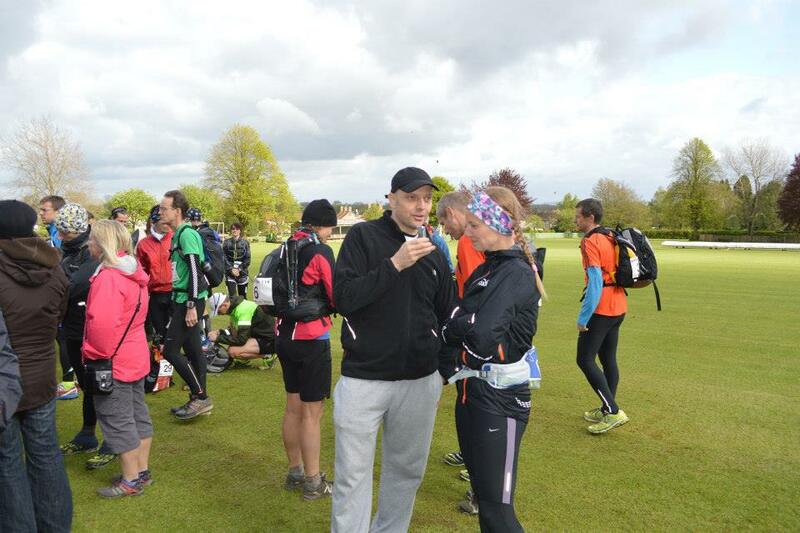 Phill is shown below interviewing Jon Steele (Race Director) just before the race briefing. I was milling around and chatting to other runners. The weather was better than forecast. It has been raining most of the day, but the clouds had lifted and the sun had come out to greet us for the start of the race. By this time I was just wanting to get running and get the event under way. As we get ready for the off the sun is out in full force and the strong winds of they day before have been reduced to a gentle breeze. Once we were running I seemed to settle into fifth place there was a light wind on our back and weather was great. I was not wearing a watch or any timing devices and just ran by feel. I passed through the first check point at the White Horse and was about 20 minutes up on my time according to me crew. By the checkpoint at Osmotherley I could tell that Alistair and Phill were getting concerned by the pace I was running at. I was no over an hour up on my predicted pacing guides. However, my pacing guides showed a consistent pace for the whole run, I did know that the pace would need slow down for the next section as we picked through the Cleveland Hills. I decided to take a mini break at Osmotherley and take on extra food and fluids ready for the night section. On leaving Omostherley the terrain soon became more undulating and I settled into an easier pace. As it get dark some of the navigation was a little tricky as a heavy mist had at settled on the hills. 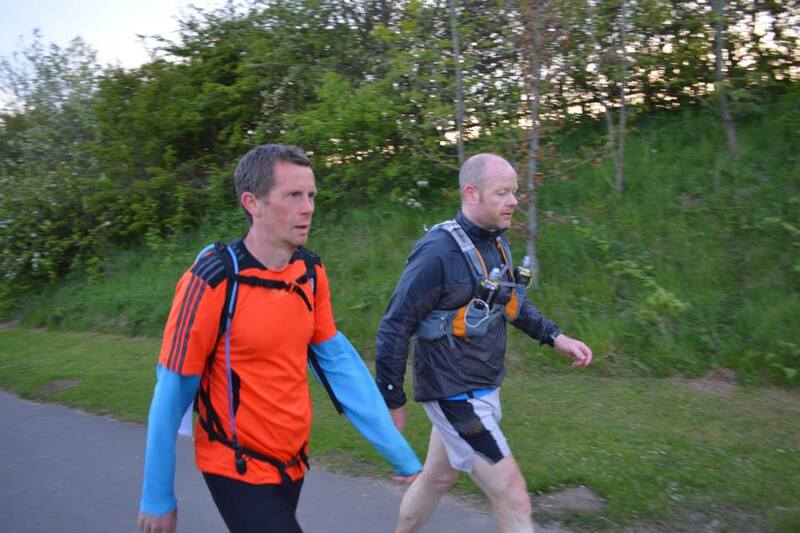 On approaching junctions in the trail, I was beginning to get unsure of my direction and I could tell that someone was approaching me so as they caught up to me, I found it was Steve Jackson who I did not know personally, but I knew of him as a regular to the HM race series. So I decided to buddy with Steve so we could keep each other company through the night. I would like to pass on a huge thanks to Steve for the night section. We picked our way across Lord Stones, Wainstones in difficult misty conditions and navigation was a bit tricky at times. We did have one minor confusion after coming of Roseberry Topping that we sorted out as the mist cleared and we noticed a shining head torch descending Roseberry Topping, meaning we had started to run back towards Roseberry Topping! Tempting though it was to go up and down again, we decided to do an about turn and head in the right direction again :) After the blustery freezing conditions last time I ran across Bloworth Crossing it was much gentler to us this time, with a light cross wind and heavy mist. The only issue was with stumbling on rocks. Both Steve and I took at least one tumble. As we entered Guisborough Woods, the sun was starting to make its presence felt. The sounds of birds singing in the woods was very uplifting. I have never heard so many birds singing in once place before. This is Steve and I at the Fox and Hounds pub just after leaving Guisborough Woods. Archi was making us both a well needed cup of tea, before we set off for Saltburn. 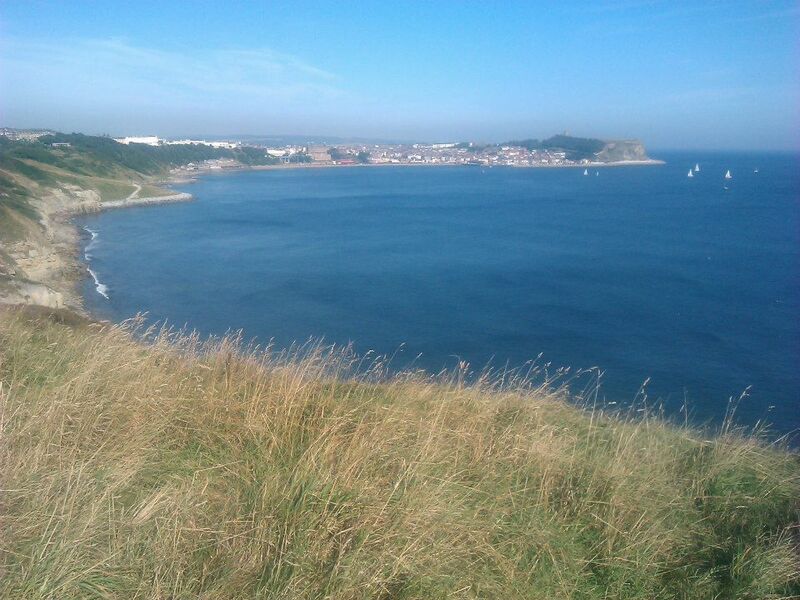 I was looking forward to getting to Saltburn and running along the coastal cliffs top. 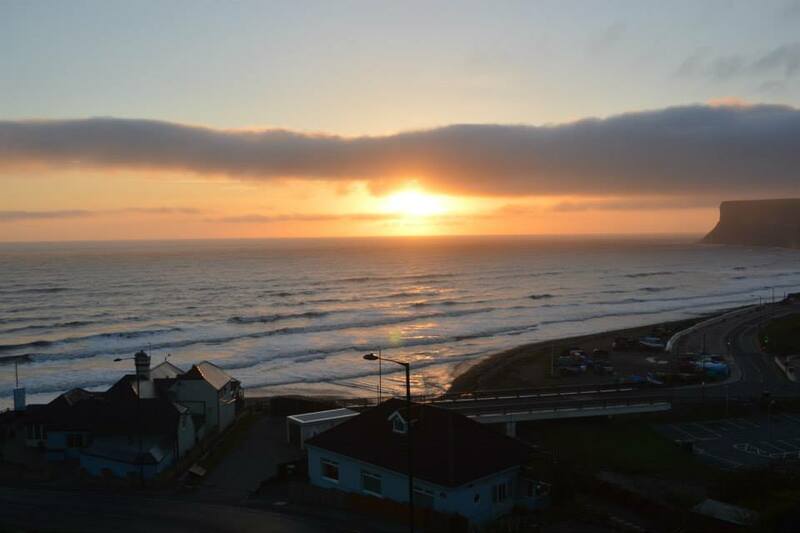 It was also a relief to make it through the night without any serious mishaps, As we approached Saltburn Steve started to slow down and I found myself running on my own, and forgot about needing to turn into Saltbrun park and carried on running up the hill! I had to double back and found some other runners that new which turning to take! 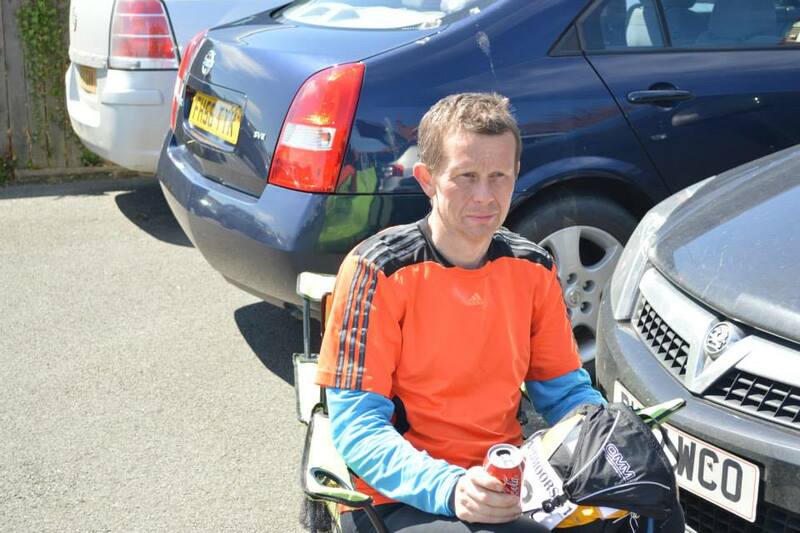 At Saltburn Steve looked as though he was in pain, he would not continue running. 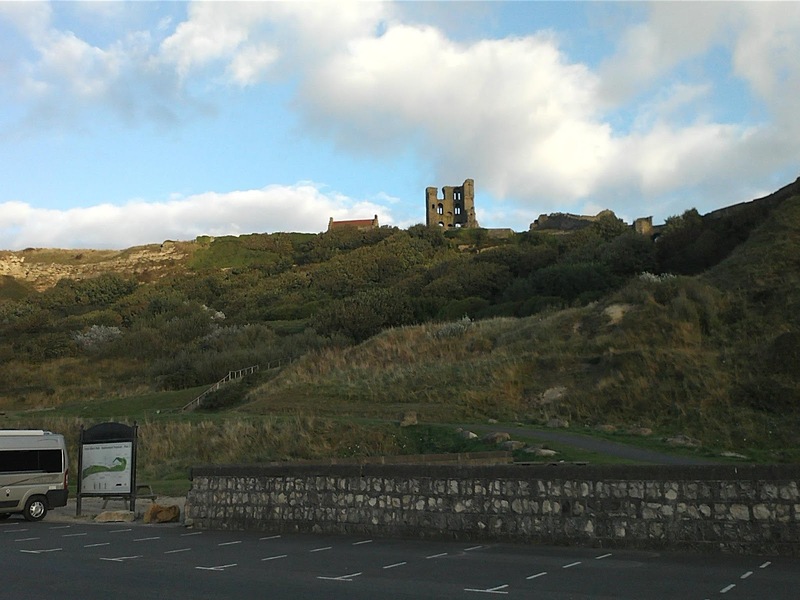 By the check point at Runswick Bay I had adopted a a jog/walk strategy. Was the fast start now catching up with me, or was I always going to slow down at around this point? I know Phill thinks that if I had started steadier I would have been still moving a little easier at that this stage. I took a mini break at this section and drank two cups of soup provided by David Heatherington one of the race volunteers/marshal for the day. The soup and can of coke greatly helped topping up my energy levels. By this stage of the run my body was getting very good at reminding me that I needed to be eating at least once an hour or my energy levels would start to nosedive. My main food/energy during the run was fig rolls, energy gels and sports drinks. The longer the run went I was better able to listen to my body and take on food to keep my energy levels up. I also asked Alistair at this checkpoint if he would start running with from Robin Hoods Bay. I now knew that I was starting to slow and that I would not be making 24 hours. What was a great feeling at this checkpoint was thinking that I would hopefully be able to finish in under 30 hours. The weather was so fabulous at this point that having to walk and run felt like a bonus as it let me enjoy the weather even more. The next major checkpoint was Ravenscar and there was some undulating ravines to help remove excess energy from the legs. 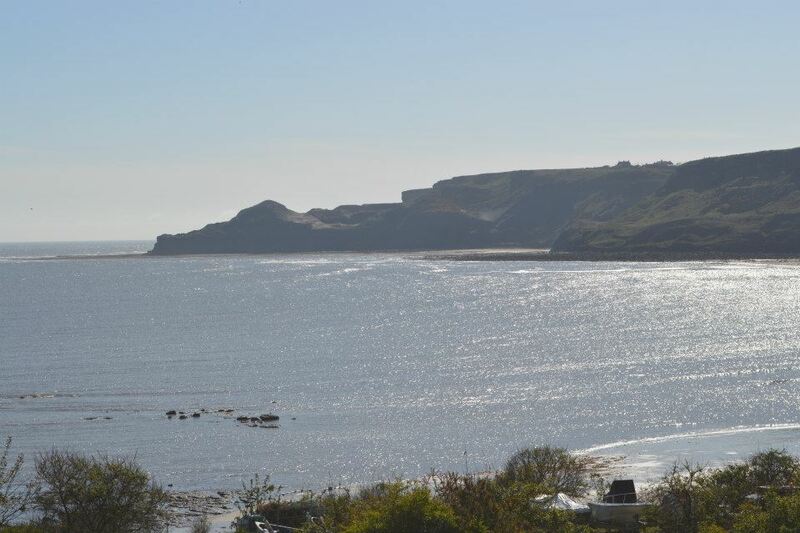 Ravenscar also marked that I was getting close to the 100 mile point which was a great feeling as well. I also knew that the last 13 miles were going to take a little longer than expected. I was still in the top 10 though and my sub 30 hour time was still looking good. It was great to have Archi to talk to through these latter sections and the weather was still great. By this stage of the run though I was also definitely fully understanding terms like its about putting one foot in front of each and keeping moving. My feet were starting to hurt from blisters, my legs were getting very tired and I had to sort of build up to my slow trotting speed gradually. I think I did tend to zone out at times even with Archi there and just make sure I was moving forward. Approaching the finish at Filey, taking a little walk break before getting ready to trot in to the finish. HM110 completed in 28:01:22 and finished in 8th place overall. A result. I was delighted to have finished my first every 100 (113) mile run and was pleased to have held on to a top 10 finish as well. It is now 5 days since I finished the HM110 and have spent some time reflecting. I entered the 100 mile event as one off and that is still how I feel now. I have no sudden urge to enter another 100 :) I think for me the challenge of completion was the goal. When I started running about 4 years ago now I always knew I enjoyed running on trails and my love of trails led me towards Ultra Running. 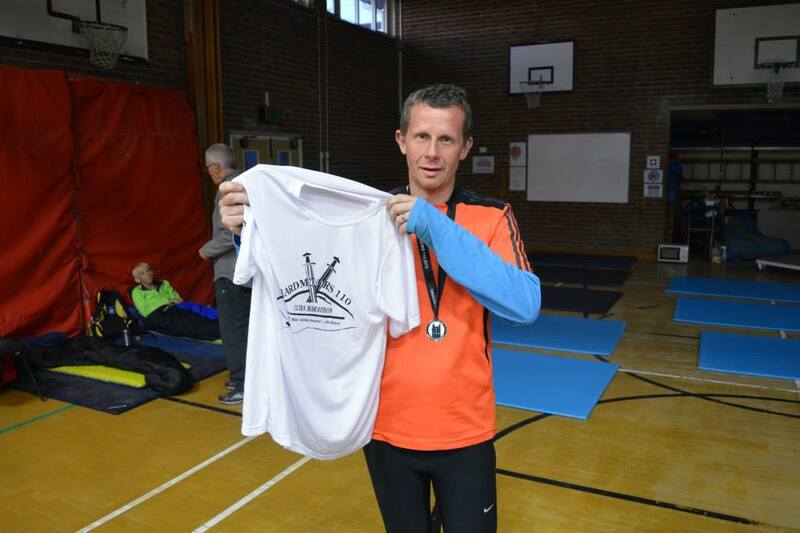 Really, really pleased and proud to have run 50 mile, 100km and 100 mile events. I would now class myself as an Ultra Runner, but and yes there is a BUT. I am not sure if in the short term that Ultra running will be my main focus. I have trained really hard for 2.5 years with virtually no breaks and think I have earned some time off. I know that after running the 100km it left a question in my mind about what type of running do I enjoy. After completing a 100 miler as well now, I have an answer to my question. I like running quickly for up to 3 to 4 hours more than I do for 10 hours plus. So I am thinking that next year I will look to take part in more fell races and trail marathons. I will possibly run one Ultra a year and that will be no longer than 100km. I do not really have the time to dedicate to running and racing multiple Ultras in a year. The amount of time given my crew Alistair and Phill for the HM110 is debt I need to repay to them at some point as well. So I want to hold some time in reserve to help them. I also owe my family some me time as well!